A steak, egg and cheese sandwich. 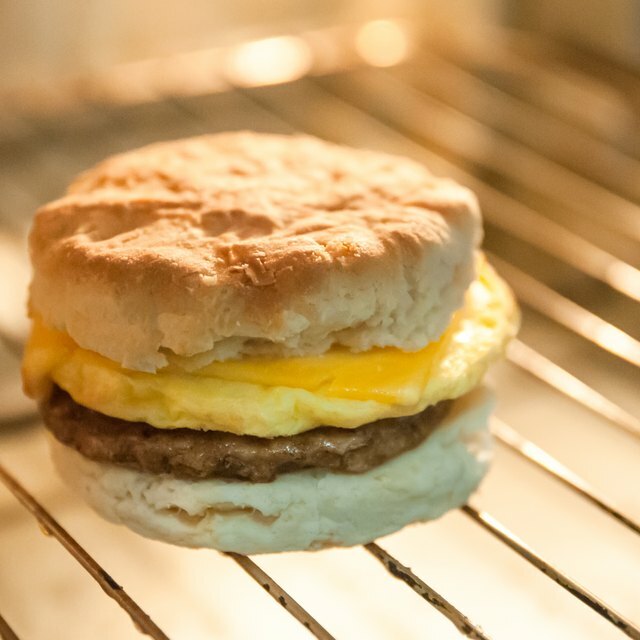 At McDonald's, the bagel breakfast sandwiches are among the newest menu options. The steak, egg and cheese bagel features a piece of steak, folded egg, American cheese, onions and the eatery's breakfast sauce. A steak, egg and cheese bagel from McDonald's has 660 calories, with 300 calories from fat. If you eat 2,000 calories a day, the breakfast sandwich amounts to one third of your total daily calories. McDonald's steak, egg and cheese bagel contains 33 g of total fat. The fat includes 12 g of saturated fat and1 g of trans fat. The sandwich also has 300 mg of cholesterol. 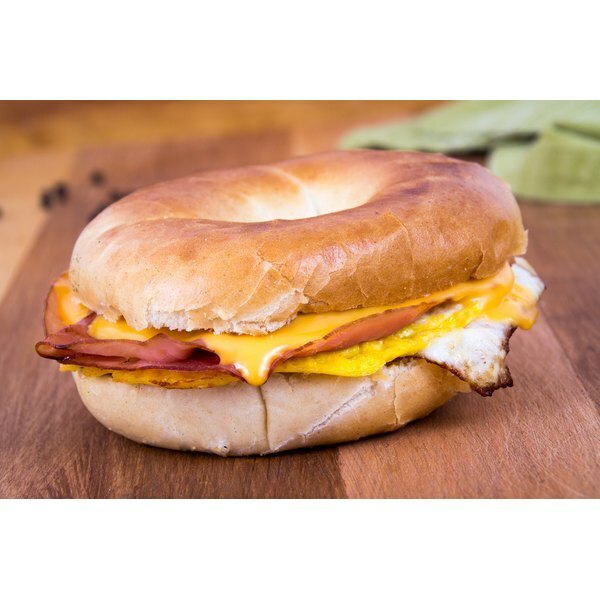 The bagel sandwich has 1,580 mg of sodium, which equals 66 percent of the maximum recommended daily intake. The USDA urges people to consume no more than 2,400 mg of sodium per day. The steak, egg and cheese bagel contains 56 g of total carbohydrates. The carbs include 3 g of dietary fiber and 7 g of sugars, McDonald's reports. The steak, egg and cheese on the bagel sandwich all add to the protein content. Overall, the sandwich contains 33 g of protein. Each Steak, Egg and Cheese Bagel contains 30 percent of the recommended daily intake for iron, 20 percent of the recommended daily intake for calcium and vitamin A and 4 percent of the recommended daily intake for vitamin C.